There are a handful of acid reflux causes and most of them can be easily avoided. In here, we will discuss food, habits, underlying conditions and other factors that can lead to acid reflux disease and offer pointers and how this disorder, and other digestive system diseases, can be avoided. Also known as gastroesophageal reflux disease or GERD, acid reflux disease is a condition wherein mucosal damage causes stomach acid to come up from the stomach to the esophagus. A burning pain in the chest, or what is commonly known as heartburn, is the most common symptom of this condition. Pain in the throat and difficulty in swallowing, along with nausea, regurgitation and increased salivation are also symptoms of GERD. There are several factors that can cause acid reflux and one of the more common ones is hiatal hernia. It is a form of stomach abnormality which occurs when the upper part of the stomach moves above the diaphragm. This causes the acid in the stomach to have an easier path towards the esophagus, thereby increasing the risk of developing acid reflux. For women, pregnancy is one of the most common acid reflux causes. Pregnant women experience increased levels of hormones, and combined with the pressure created by the fetus, acid easily passes through the stomach on to the esophagus. Another common cause is smoking. Cigarettes and tobacco can damage the mucus membranes and impair throat muscles, which can lead to acid reflux. Excessive consumption of alcoholic drinks and too much caffeine (coffee, carbonated drinks, tea, etc.) has also been implicated in GERD. There are also certain foods that may increase the chances of developing GERD, including fatty and oily food, spicy dishes and chocolates, among others. There are certain habits that contribute to the development of acid reflux and one of them is lying down right after eating a heavy meal. Consuming huge amounts of food right before bed time is also bad for the digestive system, and so is doing heavy exercises right after eating a large meal. Being overweight is also one of the acid reflux causes that have been identified in the past few years as obesity becomes a worldwide problem. There are also certain drugs that can cause acid reflux disease or exacerbate an already existing digestive problem, particularly when they are taken much too frequently and without the guidance of a doctor. These drugs include ibuprofen, blood pressure medications and other muscle-relaxing drugs. Most of the causes of acid reflux can be easily avoided. Eating a healthy diet, eating at the right time, minimizing food consumption a few hours before going to sleep are just some of the habits that we can develop to fight GERD. We can also avoid this disorder, along with other digestive problems, if we maintain a healthy digestive system. 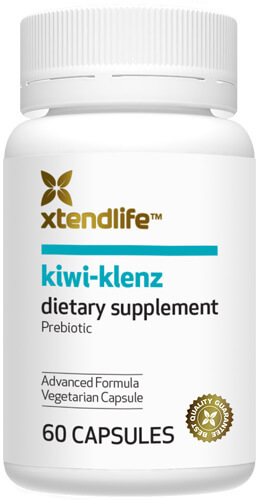 Taking all-natural digestive health supplements,like Kiwi-Klenz, will also go a long way towards keeping our gut healthy. Acid reflux causes are mostly the products of our daily habits and lifestyles and making some changes is the first step that we should take to avoid the discomfort and pain associated with these conditions.